By Goran_M, May 29, 2011 in Douglas DC-3 - Released! For the last couple of months, my work on the Saab has been mostly organising various areas, acting as consultant to Cameron (for programming) and typing up the documentation. The documentation is just about done but I need a 100% working version of the Saab so I can finish it and Cameron is continuing that side of things. So in between that and a couple of other things I have going, I have continued work on the DC-3 and this serves as a formal announcement that this will be the next project Theo and I will continue with while the Saab is being finished. Looks nice! Personally, I don't like the aircraft choice, but she still looks wonderful! EDIT: Thanks for changing that. It looks absolutely wonderful! Very nice Goran. This is a popular plane too. Being a DC Airways pilot I'm really looking forward to this! I now hate my Android phone!!! I'll already request an ultra-worn texture version please, to reflect the age of some of the ones still flying! I'll second that, and with an included Buffalo Airways paint, maybe C-FLFR? Great looking aircraft, even though it is only in the mesh stage. What I'd love to see is a piston pounder like the DC-3 modelled to perfection with all of the quirks and oddities included. Also, Goran, would you be interested in some DC-3/C-47 manuals? Thx for the feedback, guys. I'm juggling a couple of projects atm but this one shouldn't take long at all. Been looking forward to a good model of this plane for a long, long time! Glad you are undertaking it. Wow Goran, that looks great! I can't wait for this one. Theo is getting very eager to texture this one. I've paid for some high resolution texture sets a few days ago and Theo is very happy with how they look. Here's a little sample of the cabin seat. I'll just add my voice to this thread too. This looks fantastic. I'm absolutely elated we'll be seeing a DC-3 of this quality in XP. Truly an iconic aircraft. Ooh yeah guys! Love that seat already. But God, are all those dc3 interiors that phlegm-green? I really hope not. Would keep the pilots awake I suppose. I can't wait to see those other textures! so Im guessing it will be slightly better quality than Heinz's DC3? I'll leave that opinion up to the reviewers and customers. Looking forward to the usual updates on this one.....I love piccies Great to hear that Theo is on the ball already in regard to the texturing.....with "T" on board I know it will be a visual feast for the eyes!!!! I spend my days on my day project. This is my night project. Theo's going to hate me. My dream plane is finally coming to fruition! Can't wait to do some hauling! Looking fantastic, the money spent on those textures was well worth it! 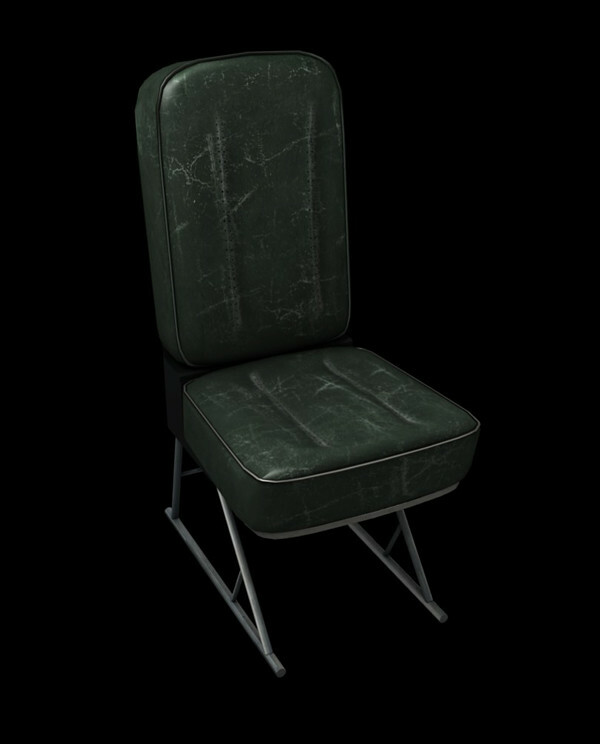 That seat was actualy hand textured. The new metal texture set he brought will definitely be used for more metal things. I.e exterior and panel. Go To Topic Listing Douglas DC-3 - Released!